The result of five years of musical collaboration, the Kimberley Echoes album is a powerful cross-cultural celebration of Kimberley country and its people. Since 2001, Tura has been producing new music projects in regional and remote northern Australia with a focus on collaborations with Aboriginal artists and communities. Tura has built long-lasting relationships with regional, rural and remote communities, creating vital and sustainable programs with tours, residencies and cultural exchanges. In the last five years, Tura has toured through east and west Kimberley to the towns and communities of Wyndham, Kununurra, Warmun, Halls Creek, Wangkatjangka, Fitzroy Crossing, Derby, Bidyadanga, Beagle Bay, Djarindjin, Lombadina, One Arm Point and Broome. The album is the culmination of this, and features The Narlis – an ensemble which has evolved with didgeridoo virtuoso and singer Mark Atkins (Yamatji) and singer/guitarist Stephen Pigram (Yawuru), with violinist Erkki Veltheim, guitarist Stephen Magnusson, cellist Tristen Parr, percussionist Joe Talia, and flautist and Tura Artistic Director, Tos Mahoney. Songs by Pigram and Atkins, arranged by this unique ensemble, are juxtaposed with new music reflecting the complexity and beauty of the Kimberley. Collaborations with local artists, experiences of traditional Joonba song and dance and touring through the provocative Kimberley landscape have all weaved their influence into this work and program. 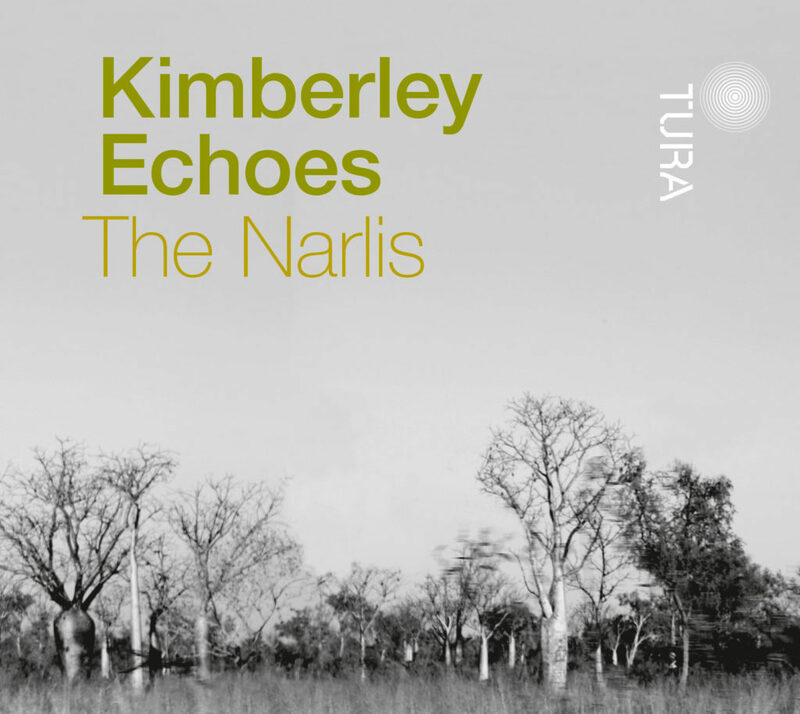 Kimberley Echoes is the result of Tura’s annual Regional and Remote Touring Program. The Kimberley Echoes album will be available in a special pre-release on Thursday 23 August, at the premiere concert of the 2018 Regional Tour at Darwin Festival. CD’s will be available only in hardcopy on the tour, before its official release next year.